Rugs are a great way to decorate your home as you can change thEM as the mood suits and, in doing so, completely RENEW the personality of the room. Whether they speak softly or shout loudly, customising your rug or runner gives you a chance to add your character to your floor. That's why we've teamed up with Alternative Flooring to provide you with thousands of fabulous flooring and border combinations with designs that are packed with pattern, texture and colour. choose your fabric, style & size. 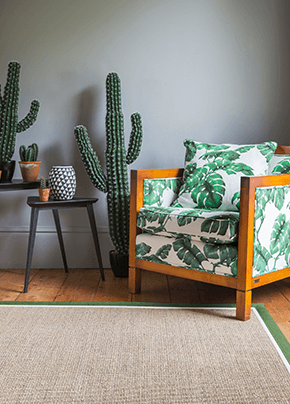 Collect your beautiful new rug from our store within 4 weeks.